What is an Ocean? 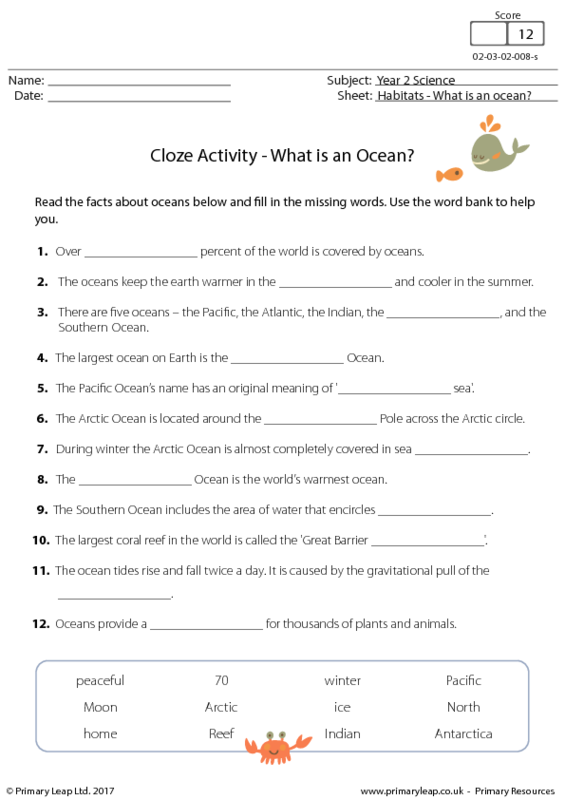 This worksheet was created for primary/elementary school children and includes facts about the world's oceans. Students read through the sentences and fill in the missing words. 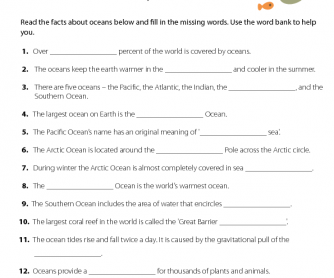 There is a word bank included to help them complete each fact.